Our Favorite Simulation Virtual Games Статья - Страна виртуальных миров! Оценить эту Статью While we have a lot of simulation games there are some that really stand out for us, and we are bringing you a list of our top 5 to try out and enjoy. Simulation games are a lot of fun, in these games you can create your own city, financial empire or farm. While the settings are different the theme remains the same. Instead of creating a single avatar to explore a world, you are building or controlling whatever the theme of the game is. You will often start with a small plot of land or single room, and from there you can begin to build up to a huge holding, or sprawling mansion full of children running around. Many simulation games are also social, where you can play with your friends, ask them for help or help them in return by sending items and useful materials. Our top 5 list here contains a few different styles of game, but each of them is brilliant to play and they give you some real room for expansion as well as a lot of activities for you to enjoy. In no particular order, here are our favorite simulation virtual games. With Township you are able to build and create a huge city, full of houses, fun buildings for your citizens and even luxury yachts and sky scrapers. By farming materials, in a similar way to a farm game you can trade them for the building materials that you need as you build your thriving community. 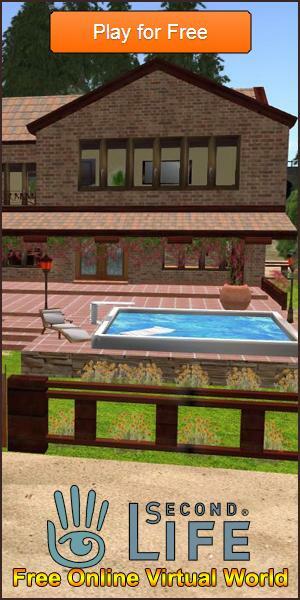 Build a home and fill it with excited children in the stunning Virtual Families. Form a single character with only a couple of rooms you can build up to a home and garden full of everything you could ever wish for and a whole family to look after. Manage a job and spending time with the kids and shopping for food as well as some truly amazing options you have to see to believe. For a slightly darker twist try Suburbia, where you move into a new neighborhood with a fascinating secret. Decorate your home, make friends and follow the gossip in a fantastic take on the simulation genre. As you do up your house you can really get into the stories of the other characters, and of course steal some ideas from them too. Finally we have a gorgeous farm game for you, with the superb Big Farm. This game provides exactly what it says, a huge farm full of crops, animals and really great looking buildings. With a huge range of options for you and some pretty fun quirks only this game can provide you are in for a great time here. We hope you enjoyed our list of games, and you can vote for your own favorite at our Favorite Simulation Virtual Games Survey. Let us know what you think here, and we hope you have a lot of fun playing these awesome games.